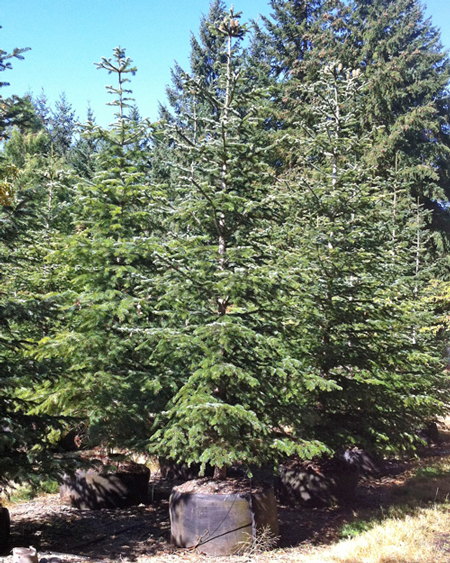 Dark green, gracefully symmetrical, and vigorous in cultivation, the Nordmann Fir is a great substitute for those alpine natives that don't want to grow in hot valleys! 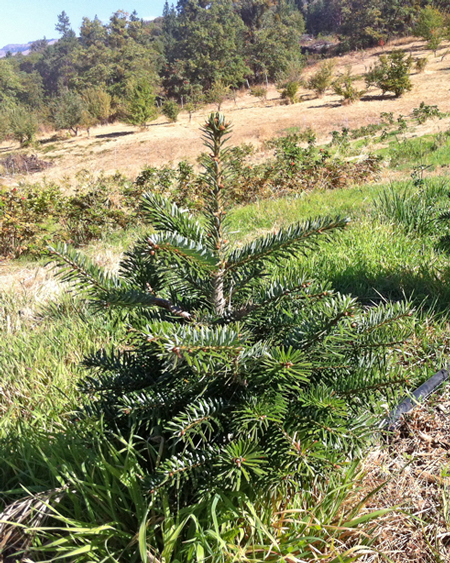 A fine, large specimen, it combines well with other conifers in a mixed conifer grove. The Nordmann Fir makes a good Christmas tree, sturdy enough to hold ornaments but open enough to display them. It can be kept in an appropriate container for several years. This handsome tall tree elicits many comments from our visitors. Its needles are shiny dark green (lighter beneath), dense and forward pointing. The graceful branches are arranged in tiers. It will probably reach about forty to sixty feet tall in cultivation, though it gets much taller in its native Caucasus. Provide well-drained, moist, fertile soil, in sun or partial shade. It looks best when protected from drying winds. 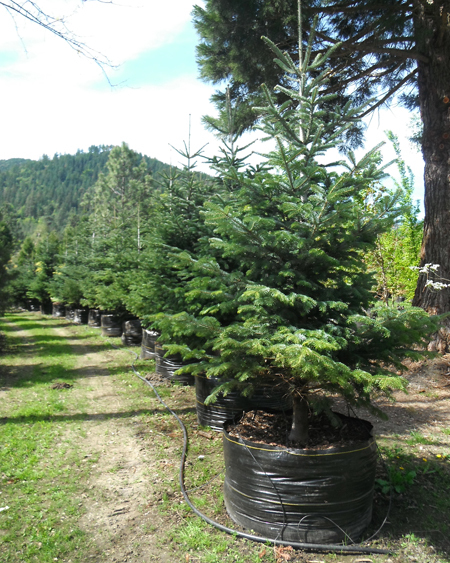 Categories: All Plants, Conifers, More..
Conifer Size 1 gallon5 gallon5 ft.10 ft.15 ft.